Over the years I've tried a lot of different water filters. I started with a Katadyn, and then went to MSR, from there to Platypus and now back to MSR. Each company is reputable and produces solid products. While I might disagree with certain aspects of some designs, the fact that many folks use them and love them cannot be denied. I originally started with a pump version, and they worked okay for what they were. They just never were really all that enjoyable to carry or to use. 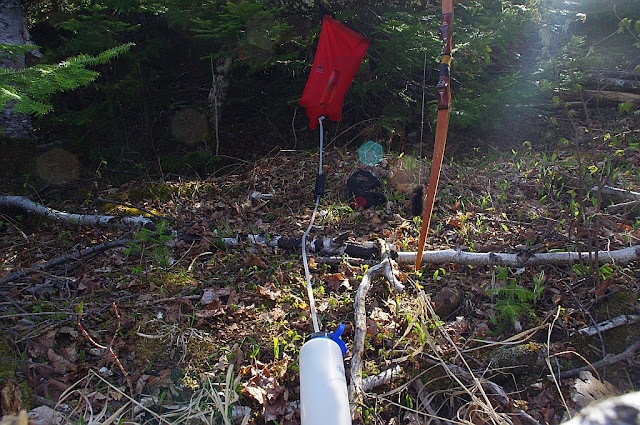 Last year I used and tested a Platypus Gravity Works system and was thoroughly impressed. The issues I had with the system were nominal, still they were there. Nothing wrong with the functionality at all, it's a top shelf filter, speed and function were very good. My issue was the bags, I was concerned with their durability, even though they felt durable and seemed to be holding up just fine, I was nervous about the plastic getting punctured. More than likely it's just my paranoia. I've always found their products to be excellent, designed well, functioning well, and very reliable. 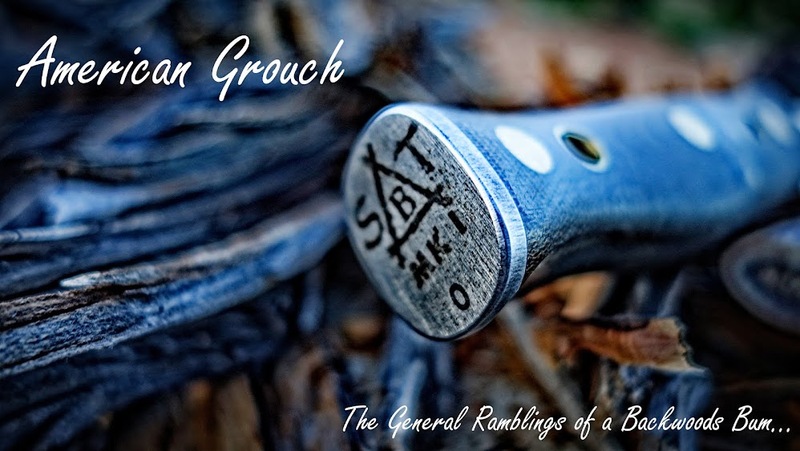 I'm still using a Pocket Rocket Stove that I purchased from them about ten years ago. 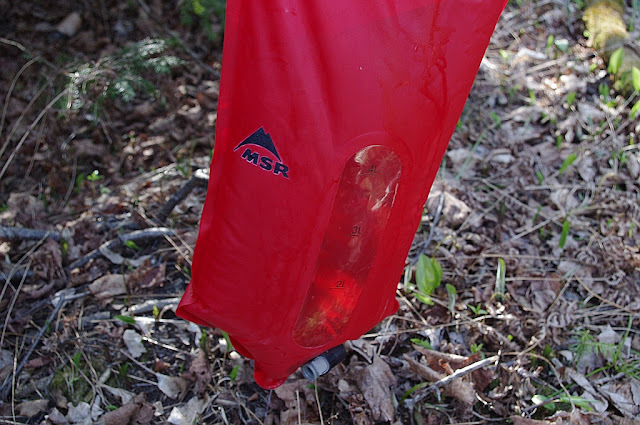 The MSR Miniworks EX was the last pump water filter I used, and it worked. The ability to field clean the filter was a great attribute. Still, it was a pump and I was done with pumping after having used a gravity filter. MSR is a US based company producing great products for backpacking. It's really pretty simple. A bag, two lengths of hose, a microfilter, you supply the clean water reservoir. You can use a water bottle, in this case I'm using a 48oz Nalgene, or you could use a Dromedary bag, a hydration sack, and so on. You simply fill the dirty water reservoir and hang it. Connect the hoses to the micro filter and your collection vessel. 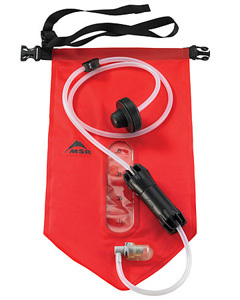 Connect the shorter hose with the quick connect ent to the dirty water reservoir. There are a couple things I want to point out. The reservoir is listed at four liters, it in fact holds closer to 6 when using it as I am in the image above. 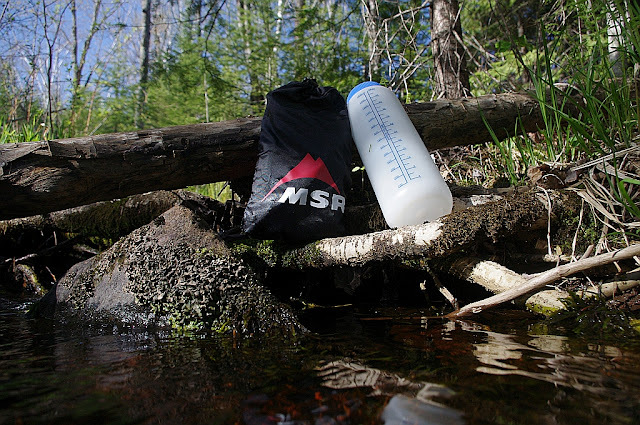 The bottle/bag adapter works, it simple screws into any nalgene sized bottle, or hydration pack be it Camelback or other. It even works with military canteens as well as numerous others. I did find that I got maximum flow when I left the lid loose, not so loose that it's barely hanging on the bottle, just loose enough to allow air to escape the vessel as it fills with water. Finally, it's fast, very fast, see the video below, it's short but it shows the speed of flow into that 48oz Nalgene bottle. While it is advertised as a base camp filter I don't see why. The time to set up and get it going isn't much more than a pump. Further, I more than make up that difference in the speed of the gravity feed. Typically I'll fill the bag, connect to vessel, fill, disconnect and move on. I use that 48oz bottle most of the time but I also carry a 2 liter dromedary bag folded up in the pack. If I know distance between water opportunity is large, I'll fill that plus the bottle and move on. I don't consider this a base camp option alone, it serves me just fine on the move. As far as I am concerned pumps are dead, this is the best option out there for me. 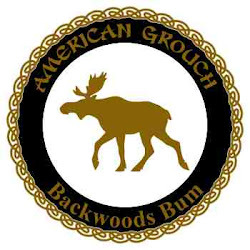 Backwoods Bum Approved! Pretty much all of the water on earth has something in it. I've been some places where I've drank straight from a stream with no ill effects but you've got to be very careful. Drinking bacteria laden water is going to put you out of commission and maybe kill you. I grew up on well water and it's my primary source of water to this day, as a boy I thought nothing of drinking from the creeks near the house, those days are gone in more ways than one. If you're going to spend enough time out back of beyond, where you'll run out of water, you need a method or system to clean your water. For those whose preponderance of water comes from a plastic bottle or the town's public water works, you're likely to be quite sensitive to backwoods water. Your gut simply isn't prepared for it. Those who do drink often from the wild places are probably a little more acclimated, still, get a filter, or a purification system, you don't want what comes from drinking bad water.